TY Bike Products - the home of Tyre Yogurt and "all things tubeless", is Matthew Casson and Jon Dredge. Where else could such a product have been conceived and developed but in the mountains! April 2017, Morzine, France “Tyre Yogurt” was born from a love of mountain biking & the hatred of punctures ruining rad days on the hill. Back in England, on the hidden tracks of Saddleworth, Tyre Yoghurt was rigorously put through its paces and perfected. The product on the shelves today is not a million miles away from how it first looked, but hours of bench testing, miles of track testing around Europe & hundreds of sacrificial tyres have gone into perfecting the details to ensure that Tyre Yogurt really is "Flat Free and Full of Fibre"
A Big Day Out on the Hill ! If you want to know the story, then here it is! Otherwise go to the shop and buy some TY goodies!! 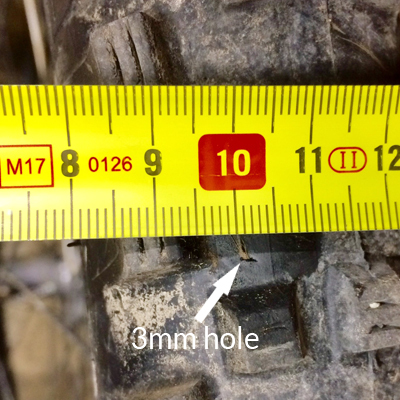 Once upon a time… April 2017, in the mountains around Morzine, Jon has a small puncture in one of his tubeless mountain bike tyres. The latex based sealant he was using refused to seal the 2mm hole so he went searching for alternatives. An internet search for commercial / industrial grade tyre sealants uncovered what we now know to be, one of the market leaders in the world of non latex industrial grade tyre sealants. Meanwhile at a similar time in the hills around Saddleworth, England. Matthew’s 12 year old son, Archie, is invited by Jack Reading - One Vision Global Racing, to join his team as a “young ripper”. A conversation with Mojo results in Chris Porter and Nicolai making the first ever junior sized G16 bike for Archie, and he starts racing. However, his first outing with a latex based tubeless sealant didn't end well so he switches back to riding with tubes. Jon and Mathew then have a conversation about a pending holiday in Morzine and in passing, Jon mentions his new discovery of a heavy duty, latex & ammonia free tyre sealant. Matt and Archie arrive in Morzine and Jon installs his new sealant in their tyres. A team of riders, scattered across Europe, is recruited to test the product & the sealant is tweaked & re-tested in response to their feedback. As the snow comes to the French Alps and bikes are swapped for skis, testing still continues. The product is put through its paces during the cold wet winter months in Saddleworth, Northern England, by a die hard group of riders basing themselves out of the Bikeanics shop. Jon continues to tweak the product & it is re-tested until everyone is happy with the results achieved. “Tyre Yogurt” is officially born and Jon & Matt decide that they are going to embark on a new adventure & take the product to market! With this decision, they then decide that if they are going to go to market with “Tyre Yogurt”, it had to be as perfect as it possibly can be, using only the best raw ingredients available. So they decide to swap the brilliant industrial grade sealant they were using as their original starting point in favour of the even better military grade spec sealant. Testing starts all over again! Mountain bikes across Europe and Australia are riding with “Tyre Yogurt” in their tubeless tyres and the first bottles of “Tyre Yogurt” roll off the Bolton production line in June 2018. The flat base means a firm airtight fit is easily achieved without cranking on the locking nut with a pair of pliers. The soft malleable rubber internal seal is multi-shaped to fit most internal profiles of MTB rims & this internal seal is not fixed to the valve, making valve removal a doddle. The missing ingredient from “all things tubeless” was a suitable rim tape. If you take a look in a bike mechanics tool box you will always find a roll of "Gorilla Tape". If it's good enough for bike mechanics the world over ( and certain high end carbon wheel manufacturers ! ) then it's good enough for TY! "Gorillas Love Yogurt " (apparently)!